The egg on the left was in the microwave for 1 minute and the egg on the right was in for 45 seconds. 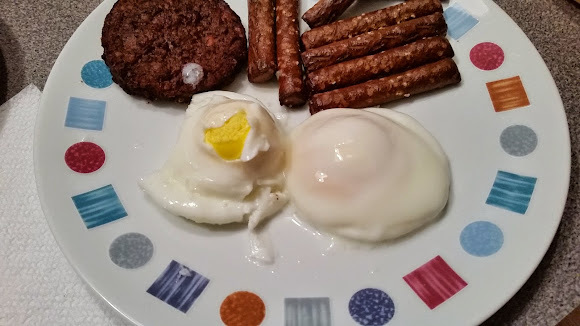 At 30 seconds the egg was totally uncooked. But that's a load of hooey. The above method was fast and quite tasty. And you're not limited poaching, here's 11 more methods for egg prep in the microwave.